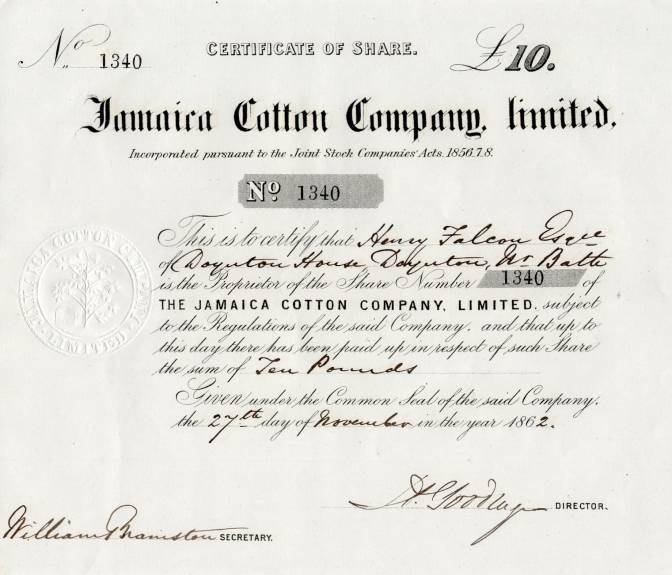 Beautiful certificate from the Jamaica Cotton Company Limited issued in 1862. 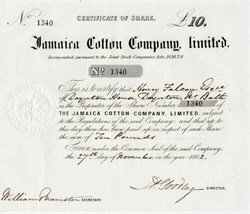 This historic document has an ornate vignette of the company name. This item has the original signatures of the Company’s Director, and Secretary, and is over 151 years old.